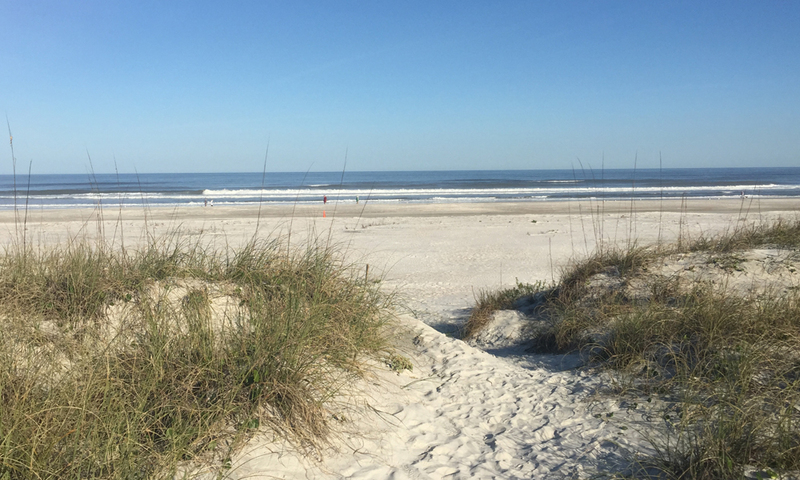 Sea Winds Condominium is located on the beach in St. Augustine, Florida on beautiful Anastasia Island. Very spacious two and three bedroom units are available for rent - most with use of their garage at no extra cost. 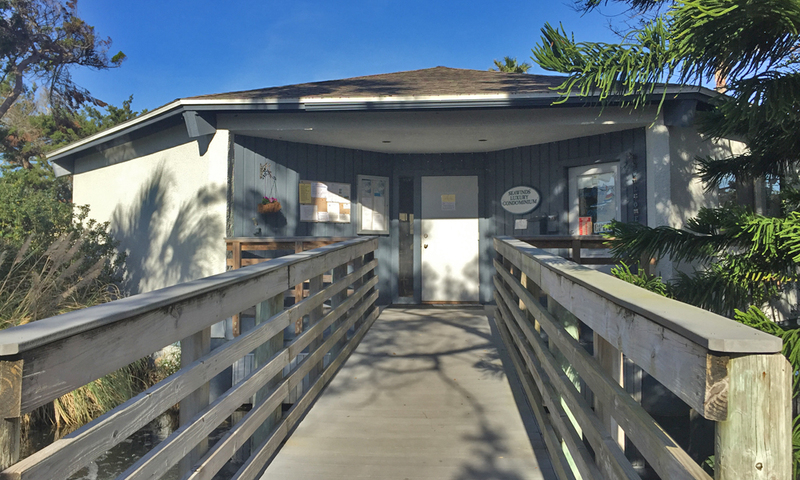 Several of Sea Winds rental units are located on the ground floor, accommodating guests with limited mobility, others are town houses. Sea Winds units are ideal for family vacations, as well as more private accommodations for a romantic couple’s getaway. Each condo unit is uniquely furnished and equipped with a full kitchen. All linens supplied apart from beach/pool towels. Visit here to see which unit you would like. 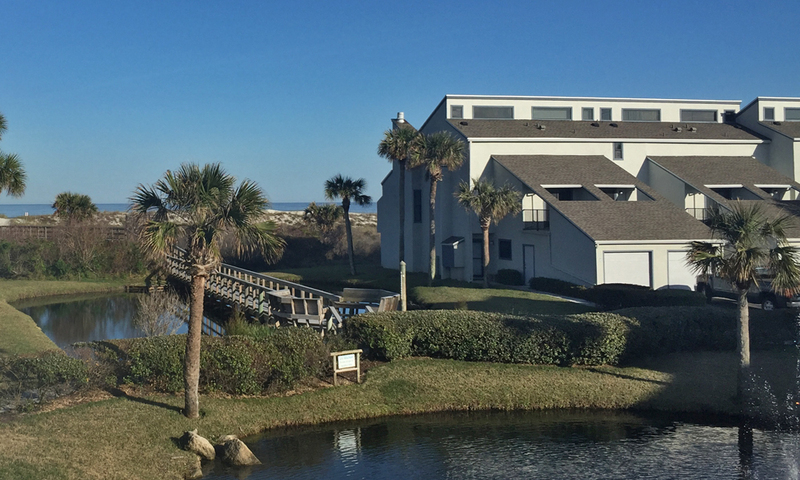 These condos offer the best of both worlds -- the tranquility of a beachfront location within convenient driving distance of restaurants, attractions, and shops in St. Augustine’s historic district. You can even walk or cycle to a nearby shopping plaza. The Sea Winds condominium units encircle a series of lagoons that lead to the beach. 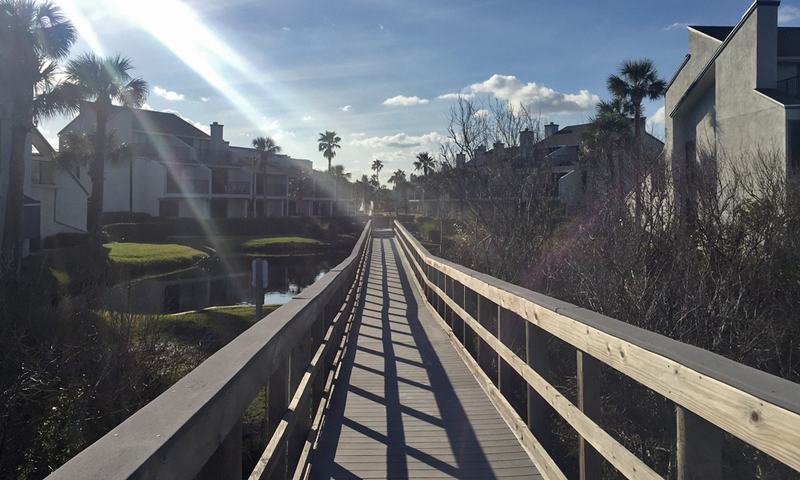 A private boardwalk crosses the lagoon to lead over the dunes to beautiful St. Augustine Beach. Guests may take advantage of the outdoor shower located near the boardwalk to rinse off any excess white sand after a walk on the beach. 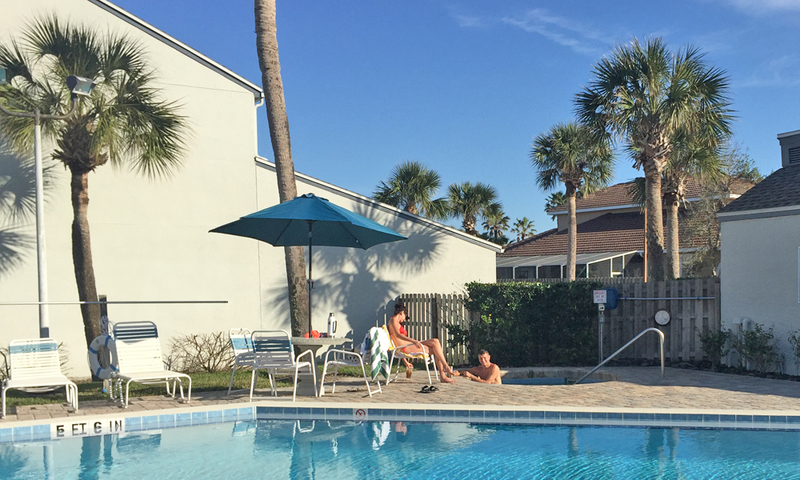 The property also boasts a swimming pool and hot tub, complete with lounge chairs, tables, and umbrellas, for the private use of Sea Winds residents and guests. A bathhouse near the pool area is also available for guest use. 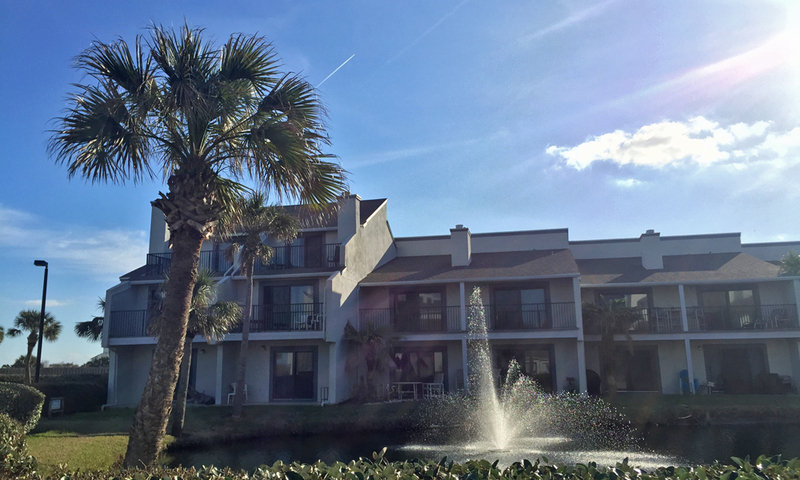 This peaceful community of 80 condominiums offers all the conveniences of home to ensure a relaxing and comfortable Florida vacation. 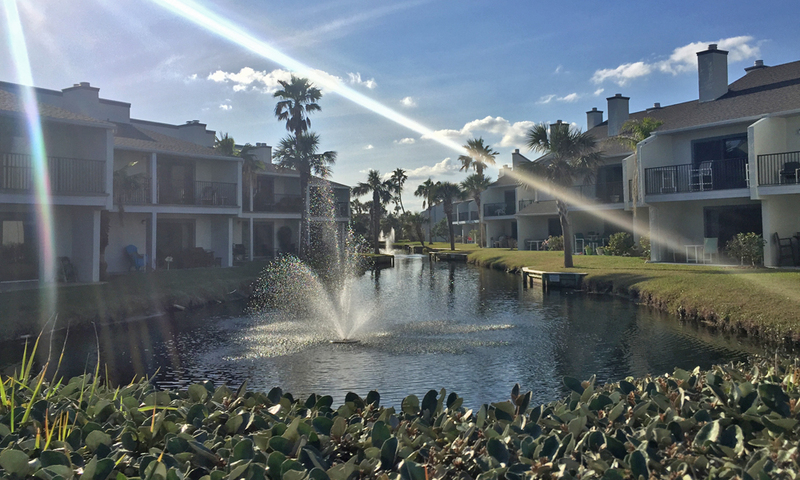 As many of the condo units at Sea Winds are home to permanent residents, the community is well taken care of and welcoming to guests. During winter months, happy hours and social events are regularly held in the community’s central clubhouse, offering perfect opportunities for guests to mingle with residents and Sea Winds’ friendly staff members. 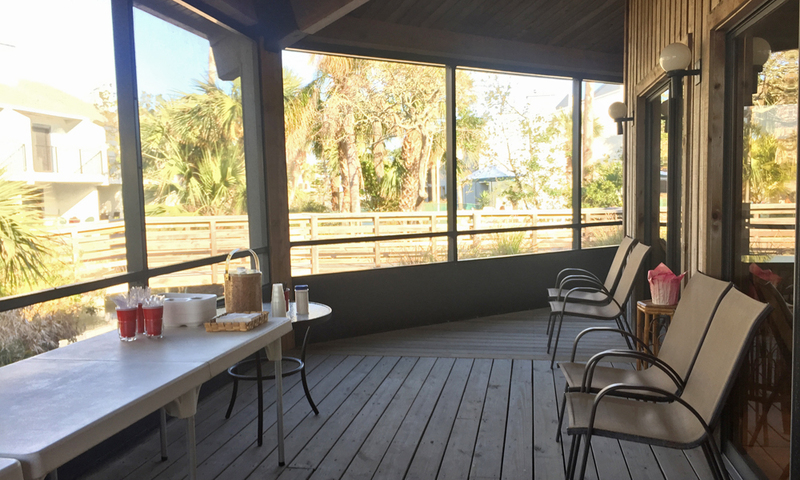 Amenities: Attached parking; fully furnished units; TV; private balcony and/or patio; outdoor pool and hot tub; beach access. We stayed at the SeaWinds condo #44 in April and it was an absolutely perfect getaway. The condo was beautifully decorated and so spacious and comfortable. We enjoyed the spectacular views from the balconies, especially the master bedroom, and were able to witness some spectacular sunrises. The condo was well equipped and we felt like we were at home -- the owners have done an excellent job of making sure we had everything we needed, including bikes, beach towels and beach gear. 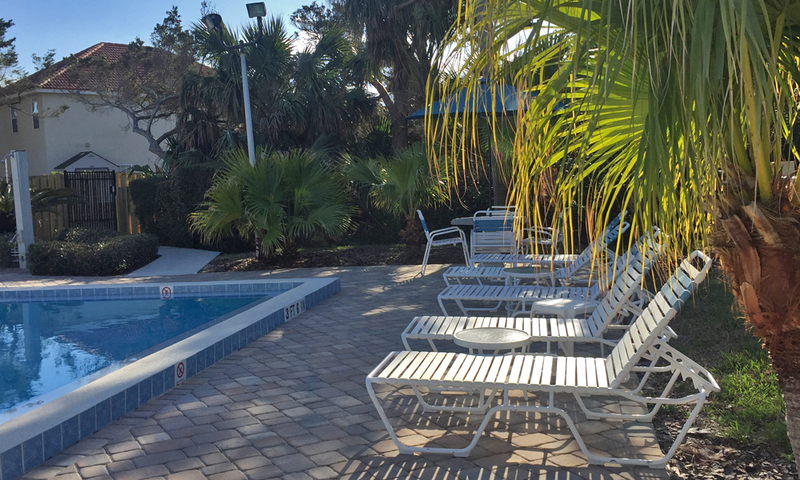 The grounds are immaculately kept and we had a lot of fun going to the beach and enjoying the pool and hot tub. 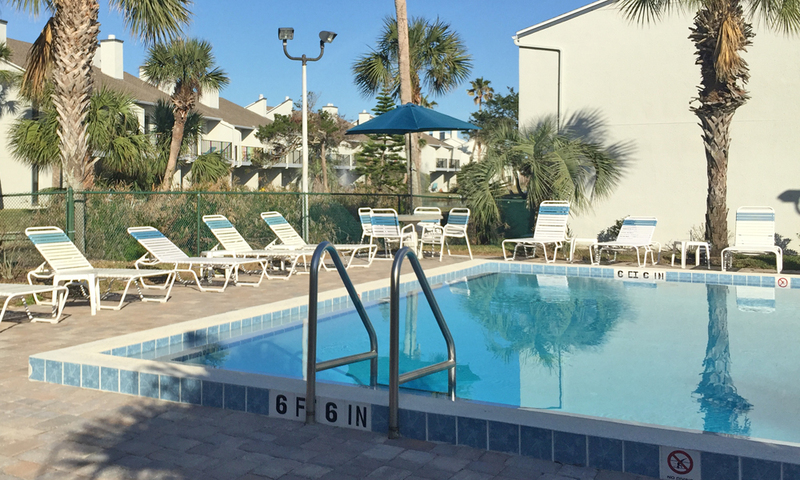 The condos are so conveniently located to all the sights, shopping, and great restaurants of St. Augustine too. We hope to come back again! This was our third year at Seawinds, our home away from home. Unit 29 offered a well equipped kitchen, all the amenities for young and older alike. Beautiful views of the ocean while nestled on a quiet lagoon. The pool, hot tub and club house offered much fun and lots of memories of new found friends. We walked on the wide beach with its cool breezes and white sands everyday. Close proximity to shopping, biking, library and many amazing dining venues. With historic St. Augustine less than a ten minute drive there is never a shortage of things to do. We love Seawinds and look forward to our next visit. This is our second year at Sea Winds. Unit 8 is nicely appointed, and very comfortable. It's equipped with all the amenities that will make your stay enjoyable. Great views of the lagoon, and pool area. 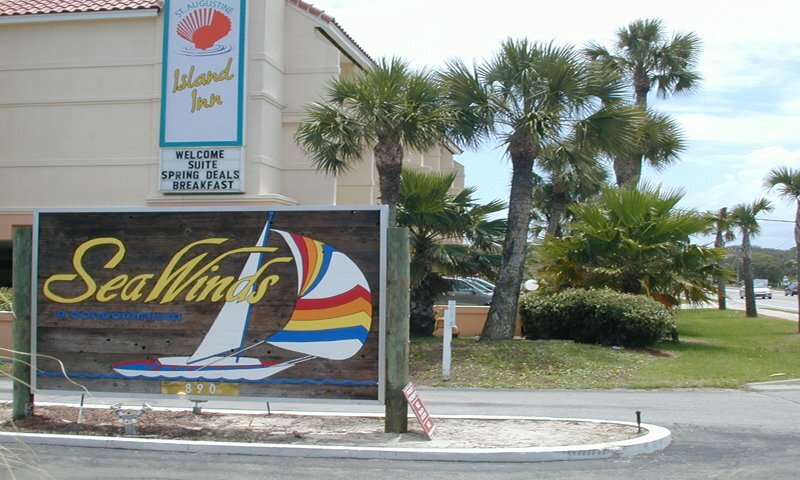 Sea Winds is conveniently located on A1A blvd. 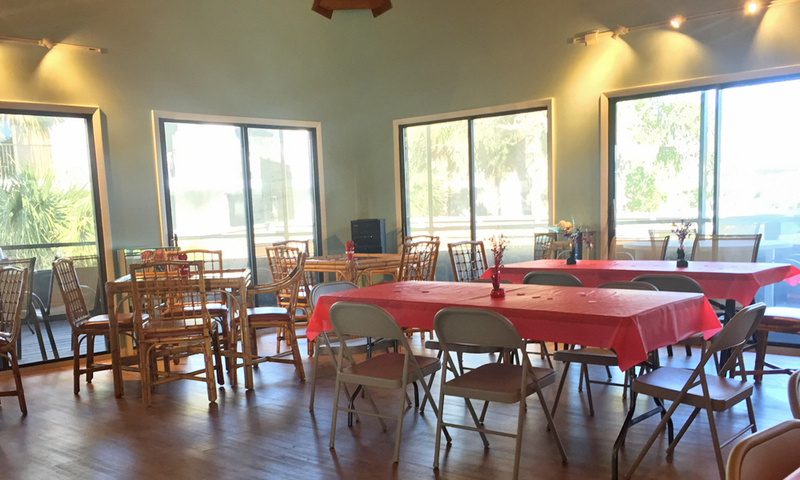 Shopping,and dining all within walking distance.The club house is spacious, and a great place to meet with friends It's a simple walk to one of the highest rated beaches in the country.The historical St. Augustine area offers a variety of venues that will keep all members of your party entertained. Thoroughly enjoy Sea Winds, and looking forward to our return visits..
We stay in #33 for almost six months of the year. It is very close to the ocean with a view of it from the master bedroom. It is very comfortable with a modernised master bath which has dual vanity and walk-in shower. It is a two bed, two and a half bath town house. There is plenty of outdoor space - two covered patios and a balcony leading off the master bedroom. 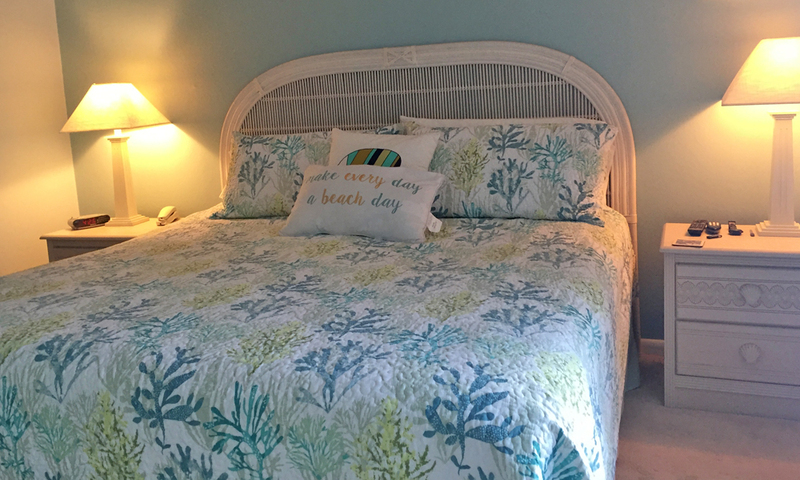 The decor is bright and beachy but comfortable and homely too. This unit is available for short term rent from the end of March until late September. There are lots of photographs and virtual tours of the rooms on the SeaWinds website. http://seawinds-condo.com/index.php/unit-33/. We hope you like it as much as we do.